Saturday University -- the University of Wyoming’s popular, free college education program -- will take place in Gillette Thursday, Feb. 11. Area residents have the opportunity to go back to college for a day with two UW professors and a Gillette College faculty member lecturing. Understanding the background of creative writing, looking at the political relationship between Russia and the United States and learning how Islam’s teachings about women have impacted Islamic cultures are topics that will be discussed at the Campbell County Public Library. The program is free and open to the public. The half-day of college classes and discussion begins with a light meal at 5:30 p.m., followed by a welcoming address at 6 p.m. The guest lectures begin at 6:05 p.m. In its eighth year, Saturday U is a collaborative program that connects popular UW and Wyoming community college professors with lifelong learners. Offered six times a year -- twice each in Jackson, Gillette and Sheridan -- Saturday U is sponsored by the university, the UW Foundation and Wyoming Humanities Council, and is presented locally by Gillette College and the UW Outreach School. Participants may attend one, two or all three lectures. 6:05 p.m. -- “The Boat: Stories of Displacement and Unsettlement,” Nam Le, UW eminent writer-in-residence, Creative Writing Program. Le is the author of the highly acclaimed collection of short stories, “The Boat,” which has garnered many literary prizes and worldwide attention. He tells the stories of remarkably varied people and places woven together with a compelling, central thread: All of the characters are, in some sense, refugees. The people in Le’s often darkly enchanting tales represent diverse ages, genders and ethnicities but all of them, in various ways, are unsettled. They are seeking refuge in deeply moving ways as they find themselves on the margins, sometimes by virtue of physical distance and other times through social, economic or political displacement. “We are reminded that, in a profound sense, we are all refugees in some aspect of modern life as we hope to find sanctuary among others or perhaps within ourselves,” Le says. 6:50 p.m. -- “Russia and America’s Road to the Bright Future,” John McGuire, Gillette College director of business education. For 70 years, Russia’s communism required sacrifice for a “bright future” that never came. Now, communism is gone, but political clashes between Russia and the United States, recently over Ukraine and Syria, still beg the question, “Is the Cold War really over?” With everyone increasingly affected by economic globalization, what is Russia and America’s “bright future?” McGuire asks. 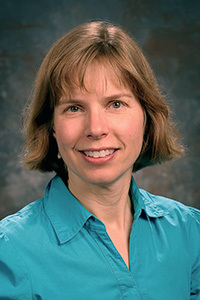 7:35 p.m. -- “Muslim Women: Breaking Down Stereotypes,” Marianne Kamp, UW Department of History professor. From the time of the prophet Muhammad to the present, Islam's teachings about women have exerted greatly varied influences on Islamic cultures and societies. Kamp’s talk draws on historical and present-day examples to examine reasons that some Muslim women have faced oppression, while others engage with their faith in ways that empower them. The spring Saturday U term continues in Jackson March 12. For more information, visit the Saturday U website at www.uwyo.edu/saturdayu/.